The Detroit Institute of Arts (DIA), located in Midtown Detroit, Michigan, has one of the largest and most significant art collections in the United States. With over 100 galleries, it covers 658,000 square feet (61,100 m2) with a major renovation and expansion project completed in 2007 that added 58,000 square feet (5,400 m2). The DIA collection is regarded as among the top six museums in the United States with an encyclopedic collection which spans the globe from ancient Egyptian and European works to contemporary art. Its art collection is valued in billions of dollars, up to $8.1 billion according to a 2014 appraisal. The DIA campus is located in Detroit's Cultural Center Historic District, about two miles (3 km) north of the downtown area, across from the Detroit Public Library near Wayne State University. The museum building is highly regarded by architects. The original building, designed by Paul Philippe Cret, is flanked by north and south wings with the white marble as the main exterior material for the entire structure. The campus is part of the city's Cultural Center Historic District listed in the National Register of Historic Places. The museum's first painting was donated in 1883 and its collection consists of over 65,000 works. With about 677,500 visitors annually for 2015, the DIA is among the most visited art museums in the world. The Detroit Institute of Arts hosts major art exhibitions; it contains a 1,150-seat theatre designed by architect C. Howard Crane, a 380-seat hall for recitals and lectures, an art reference library, and a conservation services laboratory. The museum contains 100 galleries of art from around the world. Diego Rivera's Detroit Industry cycle of frescoes span the upper and lower levels to surround the central grand marble court of the museum. The armor collection of William Randolph Hearst lines the main hall entry way to the grand court. The collection of American art at the DIA is one of the most impressive, and officials at the DIA have ranked the American paintings collection third among museums in the United States. Works by American artists began to be collected immediately following the museum's founding in 1883. Today the collection is a strong survey of American history, with acknowledged masterpieces of painting, sculpture, furniture and decorative arts from the 18th century, 19th century, and 20th century, with contemporary American art in all media also being collected. The breadth of the collection includes such American artists as John James Audubon, George Bellows, George Caleb Bingham, Alexander Calder, Mary Cassatt, Dale Chihuly, Frederic Edwin Church, Thomas Cole, John Singleton Copley, Robert Colescott, Leon Dabo, Thomas Wilmer Dewing, Thomas Eakins, Childe Hassam, Robert Henri, Winslow Homer, George Inness, Martin Lewis, Georgia O'Keeffe, Charles Willson Peale, Rembrandt Peale, Tom Phardel, Duncan Phyfe, Hiram Powers, Sharon Que, Frederic Remington, Paul Revere, Augustus Saint-Gaudens, John Singer Sargent, John French Sloan, Tony Smith, Marylyn Dintenfass, Gilbert Stuart, Yves Tanguy, Henry Ossawa Tanner, Louis Comfort Tiffany, Andy Warhol, William T. Williams, Anne Wilson, Andrew Wyeth, and James McNeill Whistler. The early 20th century was a period of prolific collecting for the museum, which acquired such works as a dragon tile relief from the Ishtar Gate of Babylon, an Egyptian relief of Mourning Women and a statuette of a Seated Scribe, Pieter Bruegel the Elder's The Wedding Dance, Saint Jerome in His Study by Jan van Eyck and Giovanni Bellini's Madonna and Child. Early purchases included French paintings by Claude Monet, Odilon Redon, Eugène Boudin, and Edgar Degas, as well as Old Masters including Gerard ter Borch, Peter Paul Rubens, Albrecht Dürer and Rembrandt van Rijn. The museum includes works by Vincent van Gogh including a self-portrait. The self-portrait of Vincent van Gogh and The Window by Henri Matisse were purchased in 1922 and were the first paintings by these two artists to enter an American public collection. Later important acquisitions include Hans Holbein the Younger's Portrait of a Woman, James Abbott McNeill Whistler's Nocturne in Black and Gold: The Falling Rocket, and works by Paul Cézanne, Eugène Delacroix, Auguste Rodin, Jean-Baptiste Carpeaux and François Rude. German Expressionism was embraced and collected early on by the DIA, with works by Heinrich Campendonk, Franz Marc, Karl Schmidt-Rottluff, Max Beckmann, Karl Hofer, Emil Nolde, Lovis Corinth, Ernst Barlach, Georg Kolbe, Wilhelm Lehmbruck, Erich Heckel, Ernst Ludwig Kirchner, Paula Modersohn-Becker, and Max Pechstein in the collection. Non-German artists in the Expressionist movement include Oskar Kokoschka, Wassily Kandinsky, Chaim Soutine and Edvard Munch. The Nut Gatherers by William-Adolphe Bouguereau is, by some accounts, the most popular painting in the collection. In addition to the American and European works listed above, the collections of the Detroit Institute of Arts are generally encyclopedic and extensive, including ancient Greek, Roman, Etruscan, Mesopotamian, and Egyptian material, as well as a wide range of Islamic, African and Asian art of all media. In December 2010, the museum debuted a new permanent gallery with special collections of hand, shadow, and string puppets along with programmable lighting and original backgrounds. The museum plans to feature puppet related events and rotation of exhibits drawn from its puppet collections. Before 1920, a commission was established to choose an architect to design a new building to house the DIA's expanding collections. The commission included DIA President Ralph H. Booth, William J. Gray, architect Albert Kahn and industrialist Edsel Ford. W.R. Valentiner, the museum director acted as art director and Clyde H. Burroughs was the secretary. The group chose Philadelphia architect Paul Philippe Cret as the lead architect and the firm of Zantzinger, Borie and Medary as associated architects, with Detroit architectural firms of Albert Kahn and C. Howard Crane contributing "advice and suggestions." The cornerstone for new Beaux-Arts, Italian Renaissance styled building was laid June 26, 1923 and the finished museum was dedicated October 7, 1927. In 1922, Horace Rackham donated a casting of Auguste Rodin's sculpture, The Thinker, acquired from a German collection, to the museum where it was exhibited while the new building was under construction. The work was placed in the Great Hall of the new museum building. Sometime in the subsequent years the work was moved out of the building and placed on a pedestal in front of the building, facing Woodward Avenue and the Detroit Public Library across the street which was also constructed of white marble in the Beaux-Arts, Italian Renaissance style . The south and north wings were added in 1966 and 1971 respectively. Both were designed by Gunnar Birkerts and were originally faced in black granite to serve as a backdrop for the original white marble building. The south wing was later named in honor of museum benefactors Edsel and Eleanor Ford and the north wing for Jerome Cavanaugh who was Detroit Mayor during the expansion. Edsel Ford commissioned murals by Diego Rivera for DIA in 1932. Composed in fresco style, the five sets of massive murals are known collectively as Detroit Industry, or Man and Machine. The murals were added to a large central courtyard; it was roofed over when the work was executed. The Diego Rivera murals are widely regarded as great works of art and a unique feature of the museum. Architect Henry Sheply, a close friend of Cret's would write: "These [murals] are harsh in color, scale and composition. They were designed without the slightest thought given to the delicate architecture and ornament. They are quite simply a travesty in the name of art." Their politically charged themes of proletariat struggle caused lasting friction between admirers and detractors. During the McCarthy era, the murals survived only by means of a prominent sign which identified them as legitimate art; the sign further asserted unambiguously that the political motivations of the artist were "detestable". Today the murals are celebrated as one of the DIA's finest assets, and even "one of America's most significant monuments". The building also contains intricate iron work by Samuel Yellin, tile from Pewabic Pottery, and architectural sculpture by Leon Hermant. In November 2007, the Detroit Institute of Arts building completed a renovation and expansion at a total cost of $158 million. Architects for the renovation included Michael Graves and associates along with the SmithGroup. The project, labeled the Master Plan Project, included expansion and renovation of the north and south wings as well as restoration of the original Paul Cret building, and added 58,000 additional square feet, bringing the total to 658,000 square feet. The renovated exterior of the north and south wings was refaced with white marble acquired from the same quarry as the marble on the main building designed by Paul Cret. The major renovation of the Detroit Institute of Arts has provided a significant example of study for museum planning, function, direction, and design. 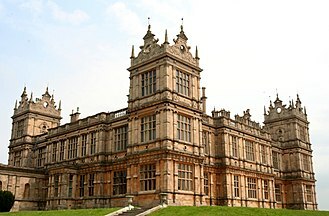 The Museum had its genesis in an 1881 tour of Europe made by local newspaper magnate James E. Scripps. Scripps kept a journal of his family's five-month tour of art and culture in Italy, France, Germany, and the Netherlands, portions of which were published in his newspaper The Detroit News. The series proved so popular that it was republished in book form called Five Months Abroad. 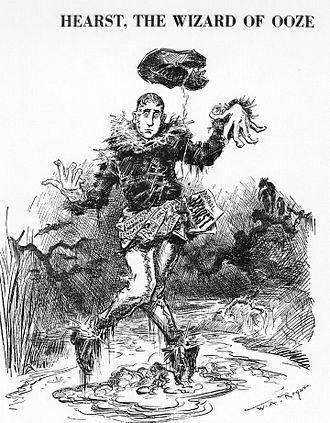 The popularity inspired William H. Brearley, the manager of the newspaper's advertising department to organize an art exhibit in 1883, which was also extremely well received. Brearly convinced many leading Detroit citizens to contribute to establish a permanent museum. It was originally named the Detroit Museum of Art. Among the donors were James E. Scripps, his brother George H. Scripps, Dexter M. Ferry, Christian H. Buhl, Gen. Russell A. Alger, Moses W. Field, James McMillan and Hugh McMillan, George H. Hammond, James F. Joy, Francis Palms, Christopher R. Mabley, Simon J. Murphy, John S. Newberry, Cyrenius A. Newcomb, Sr., Thomas W. Palmer, Philo Parsons, George B. Remick, Allan Shelden, William C. Weber, David Whitney Jr., George V. N. Lothrop, and Hiram Walker. With much success from their first exhibit, Brearley then challenged 40 of Detroit's leading and prominent businessmen to contribute $1,000 each to help fund the building of a permanent museum. With $50,000 coming from Scripps alone, their goal was within reach. By 1888, Scripps and Brearley had incorporated Detroit Museum of Arts, filling it with over 70 pieces of artwork acquired by Scripps during his time in Europe. Lasting as a museum less than 40 years, the impact the museum had on the city of Detroit was tremendous. The Art Loan Exhibition's success in 1883 had led to the creation of a board. The purpose of the board was to raise and establish funds to build a permanent art museum in the city. Donating money to the cause were some of Detroit's biggest names, including James E. Scripps, George H. Scripps, Russell A. Alger, and Sen. Thomas Palmer. The old Detroit Museum of Art building opened in 1888 at 704 E. Jefferson Avenue (it was finally demolished in 1960). The Detroit Museum of Art board of trustees changed the name to the Detroit Institute of Arts in 1919 and a committee began raising funds to build a new location with Scripps still at the helm. The present DIA building on Woodward Avenue debuted on October 7, 1927. While not officially declared the founder of the Detroit Institute of Arts, Scripps and Brearley were indeed the founders of the DIA's predecessor, The Detroit Museum of Art. With the success of the arts, and the booming auto industry, families were flocking to the city; pushing for the need to expand the vision that Scripps had originally dreamed, a new building was raised and the DIA was born. Another decision in 1919 that would have a lasting impact of the future of the museum was transferring ownership to the City of Detroit with the museum becoming a city department and receiving operating funds. The board of trustees became the Founder's Society a private support group that provided additional money for acquisitions and other museum needs. The museum sought the leadership of German art scholar Wilhelm Valentiner. It as under Valentiner's leadership as director that, the museum flush with money from a booming city and wealthy patrons, the size and quality of the DIA's collections grew significantly. The DIA became the first U.S. museum to acquire a van Gogh and Matisse in 1922 and Valentiner's relationship with German expressionist led to significant holdings of early Modernist art. Valentiner also reorganized how art was displayed at the museum. Breaking with the tradition of organizing artworks by their type with, for example, painting grouped together in one gallery and sculpture in another. Valentiner organized them by nation and chronology, this was recognized as being so revolutionary that the 1929 Encyclopædia Britannica used an illustration of the main floor plan of the DIA as an example of the perfect modern art museum. Support for the museum came from Detroit philanthropists such as Charles Lang Freer, and the auto barons: art and funds were donated by the Dodges, the Firestones and the Fords, especially Edsel Ford and his wife Eleanor, and subsequently their children. Robert Hudson Tannahill of the Hudson's Department Store family, was a major benefactor and supporter of the museum, donating many works during his lifetime. At his death in 1970, he bequeathed a large European art collection, which included works by Paul Cézanne, Vincent van Gogh, Paul Gauguin, Edgar Degas, Georges Seurat, Henri Rousseau, Henri Matisse, Pablo Picasso, Constantin Brâncuși, important works of German Expressionism, a large collection of African art, and an endowment for future acquisitions for the museum. Part of the current support for the museum comes from the state government in exchange for which the museum conducts statewide programs on art appreciation and provides art conservation services to other museums in Michigan. In 1949, the museum was among the first to return a work that had been looted by the Nazis, when it returned Claude Monet's The Seine at Asnières to its rightful owner. The art dealer from whom they had purchased it reimbursed the museum. In 2002, the museum discovered that Ludolf Backhuysen's A Man-O-War and Other Ships off the Dutch Coast, a 17th-century seascape painting under consideration for purchase by the museum, had been looted from a private European collection by the Nazis. The museum contacted the original owners, paid the rightful restitution, and the family allowed the museum to accession the painting into its collection, adding another painting to the museum's already prominent Dutch collection. 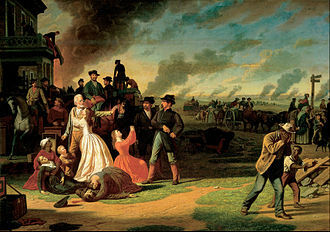 In another case, Detroit Institute of Arts v. Ullin, which involved a claim concerning Vincent Van Gogh’s "Les Becheurs (The Diggers)" (1889), the museum successfully asserted that Michigan's three-year statute of limitations precluded the court or a jury from deciding the merits of the case. The museum was expanded with a south and north wing in 1966 and 1971, respectively, giving space for the museum to receive two big gifts in 1970, the collection of Robert Tannahill and Anna Thompson Dodge bequeathed the 18th-century French contents of the music room from her home, Rose Terrace, to the museum upon her death. As the fortunes of the city declined in the 1970s and 80s so did its ability to support the DIA. In 1975, even with reduced staff, the city was forced to close the museum for three weeks in June. The State of Michigan provided funding to reopen and over this time period the state would play an increasing role in funding the museum. A 1976 gift of $1 million from Eleanor Ford created the Department of African, Oceanic and New World Cultures. By 1990, 70 percent of the DIA's funding was coming from the State of Michigan, that year the state facing a recession and budget deficit cut funding by more than 50 percent. This resulted in the museum having to close galleries and reduce hours, a fundraising campaign led by Joseph L. Hudson was able to restore operations. In 1998, the Founder's Society signed an operating agreement with the City of Detroit that would have the Founder's Society operating as Detroit Institute of Arts, Inc take over management of the museum from the Art Department with the city retaining ownership of the DIA itself. On February 24, 2006, a 12-year-old boy stuck a piece of chewing gum on Helen Frankenthaler's 1963 abstract work The Bay, leaving a small stain. The painting was valued at $1.5 million in 2005, and is one of Frankenthaler's most important works. The museum's conservation lab successfully cleaned and restored the painting, which was returned to the gallery in late June 2006. As part of the settlement of the City of Detroit's bankruptcy ownership of the museum was transferred to Detroit Institute of Arts, Inc in December 2014 returning the museum to its pre-1919 status as an independent non-profit. The current director of the Detroit Institute of Arts, Salvador Salort-Pons a native of Madrid was previously head of the European Art Department at the DIA. Before coming to the DIA he was senior curator at the Meadows Museum at SMU and prior to that an assistant professor of art history at the Complutense University of Madrid. Salort-Pons holds a doctorate in art history from the Royal Spanish College at Italy's University of Bologna and a MBA from the Cox School of Business at Southern Methodist University in Dallas. On September 16, 2015 Salort-Pons was named as director following the retirement of Graham Beal in June. Besides holding major art exhibitions inside the museum's 1,150-seat theatre and annual formal entertainment fundraising galas such as Les Carnavel des ArtStars in November, other Detroit Institute of Arts coordinated events include the annual "Fash Bash," a leading corporate sponsored fashion event, featuring celebrities and models that showcase the latest fashion trends, typically held in the Renaissance Center's Winter Garden, the Fox Theatre, or at the Detroit Institute of Arts theatre in August to celebrate Detroit Fashion Week. A 2012 survey showed 79 percent of the institute's annual visitors lived in one of the three surrounding counties Wayne (which includes Detroit), Macomb, and Oakland. The museum's annual attendance was 429,000 in 2011 and rose to 594,000 in 2013. In 2014, the museum's annual attendance was about 630,000. One of the largest, most significant art museums in the United States, the Detroit Institute of Arts relies on private donations for much of its financial support. The museum has sought to increase its endowment balance to provide it financial independence. The City of Detroit owns the museum building and collection, but withdrew the city's financial support. The museum's endowment totaled $200 million in 1999 and $230 million in 2001. The museum completed a major renovation and expansion in 2007. By 2008, the museum's endowment reached $350 million; however, a recession, reduced contributions, and unforeseen costs reduced the endowment balance to critical levels. In 2012, the endowment totaled $89.3 million and provided an annual return of about $3.4 million in investment income; while admissions, the museums cafe restaurant, and merchandise and book sales from the museum's gift shop generated about $3.5 million a year, or just 15 percent of the annual budget. The museum raised $60 million from 2008 to 2012, reduced staffing, and reduced its annual operating budget from $34 million in 2008 to 25.4 million in 2012. In 2012, voters in three of the major metropolitan counties approved a property tax levy or millage for a duration of 10 years, expected to raise $23 million per year, saving the museum from cuts. In August 2012, the museum website expressed appreciation to the voters for their support. The Museum offers Wayne, Oakland, and Macomb County residents free general admission for the 10-year duration of the millage approved in 2012. In 2012, the museum established an updated fund raising goal for its endowment balance to reach $400 million by 2022 in order to be self-sustaining, while the millage is in effect. The DIA art collection is valued in billions of dollars, up to $8.5 billion according to a 2014 estimate. After city's bankruptcy filing July 18, 2013, creditors targeted a part of the museum's collection that had been paid for with city funds as a potential source of revenue. State-appointed emergency manager Kevin Orr hired Christie's Auction House to appraise the collection. After months of determining the fair market value of the portion of the art that was purchased with city funds, Christie's released a report December 19, 2013, saying that the collection of nearly 2,800 pieces of the then city-owned artwork, was worth $454 million to $867 million, with one masterpiece by Van Gogh worth up to $150 million. To prevent possible sale of the works, museum proponents developed what has been named the grand bargain. Under the plan, which was eventually approved, the museum would raise $100 million for its portion, nine private foundations pledged $330 million, and the state of Michigan would contribute $350 million for a total of $820 million in order to guarantee municipal workers' pensions. In return, the city of Detroit would transfer its portion of the collection and the building to the non-profit entity that already operates the museum. This plan was challenged by other creditors, who claimed that it treated them unfairly and requested to conduct their own appraisal of the museum collection. Some creditors came forward with offers from other parties to buy the artworks for sums higher than Christie's appraisal. On May 13, 2014, Detroit emergency manager Kevyn Orr asked Detroit automakers to add $195 million to make the grand bargain stronger. The eventual settlement did not require the DIA to sell any art. The discovery in 2014 that DIA President Graham W. J. Beal and Executive Vice President Anne Erickson received significant raises in 2014 and $50,000 bonuses in 2013 raised concerns among Wayne, Macomb and Oakland County residents. The DIA board notified suburban authorities November 4, 2014, that it reimbursed the museum $90,000 for bonuses awarded to three top executives in 2013. On January 8, 2015, Beal announced he was stepping down in June 30. Months later, Beal's pay continued to generate negative headlines for the DIA. Oakland County officials were at the forefront of opposition to a retroactive raise for Beal, even though the money was raised from private donations. Some local lawmakers hoped to make the non-profit DIA subject to the Freedom of Information Act. † - Annual sales estimates reflect free admission for Wayne, Oakland, and Macomb county residents for millage years. Expenditures rise about 1.9% annually for inflation. Investments yield about 3.8% annually. ^ a b c d e f "Museum Fact Sheet — The Detroit Institute of Arts". Dia.org. Retrieved 2015-07-12. ^ a b c d "About the DIA". Detroit Institute of Arts. Archived from the original on 2015-06-27. Retrieved 2015-06-26. ^ "DIA's collection has national luster". The Detroit News. Retrieved 2014-11-23. ^ a b Kennedy, Randy (28 July 2014). "New Appraisal Sets Value of Detroit Institute Artworks at Up to $8.5 Billion". The New York Times. Retrieved 2014-11-08. ^ a b Gibson, Eric (2014-07-15). "A Dose of Common Sense for Detroit". WSJ. Retrieved 2015-07-12. ^ AIA Detroit Urban Priorities Committee (10 January 2006). "Look Inside: Top 10 Detroit Interiors". Model D Media. Retrieved 2014-03-24. ^ "Visitor Figures 2013: Museum and exhibition attendance numbers compiled and analysed" (PDF). The Art Newspaper, International Edition. April 2014. Retrieved 2015-07-12. ^ "Art at the DIA". The Detroit Institute of Arts. Retrieved 23 February 2019. ^ "The Puppets Are Coming, The Puppets Are Coming! Detroit Institute of Arts to unveil new puppet gallery December" (Press release). dia.org. 22 November 2010. Retrieved 2011-05-16. ^ "Artists' Take on Detroit: Projects for the Tricentennial — Events & Exhibitions at The Detroit Institute of Arts". Dia.org. Retrieved 2015-07-12. ^ "Art in Focus: Celadons — Events & Exhibitions at The Detroit Institute of Arts". Dia.org. Retrieved 2015-07-12. ^ "Over The Line, The Art and Life of Jacob Lawrence — Events & Exhibitions at The Detroit Institute of Arts". Dia.org. Retrieved 2015-07-12. ^ "Over the Line. The Art and Life of Jacob Lawrence - Detroit Institute of Arts (DIA) - Art of the day". Art-of-the-day.info. 2002-05-19. Retrieved 2015-07-12. ^ "Degas and the Dance — Events & Exhibitions at The Detroit Institute of Arts". Dia.org. Retrieved 2015-07-12. ^ "Magnificenza! The Medici, Michelangelo and The Art of Late Renaissance Florence — Events & Exhibitions at The Detroit Institute of Arts". Dia.org. Retrieved 2015-07-12. ^ "When Tradition Changed: Modernist Masterpieces at the DIA — Events & Exhibitions at The Detroit Institute of Arts". Dia.org. Retrieved 2015-07-12. ^ "Then and Now: A Selection of 19th- and 20th-Century Art by African American Artists — Events & Exhibitions at The Detroit Institute of Arts". Dia.org. Retrieved 2015-07-12. ^ "Art in Focus: Buddhist Sculpture — Events & Exhibitions at The Detroit Institute of Arts". Dia.org. Retrieved 2015-07-12. ^ "Yoko Ono's Freight Train — Events & Exhibitions at The Detroit Institute of Arts". Dia.org. Retrieved 2015-07-12. ^ "Yoko Ono's Freight Train on DIA's South Lawn". Imaginepeace.com. Retrieved 2015-07-12. ^ "Art in Focus: Mother-of-Pearl Inlaid Lacquer — Events & Exhibitions at The Detroit Institute of Arts". Dia.org. Retrieved 2015-07-12. ^ "Style of the Century: Selected Works from the DIA's Collection — Events & Exhibitions at The Detroit Institute of Arts". Dia.org. Retrieved 2015-07-12. ^ "Some Fluxus: From the Gilbert and Lila Silverman Fluxus Collection Foundation — Events & Exhibitions at The Detroit Institute of Arts". Dia.org. Retrieved 2015-07-12. ^ "Dance of the Forest Spirits: A Set of Native American Masks at the DIA — Events & Exhibitions at The Detroit Institute of Arts". Dia.org. 2003-10-06. Retrieved 2015-07-12. ^ "Dawoud Bey: Detroit Portraits — Events & Exhibitions at The Detroit Institute of Arts". Dia.org. Retrieved 2015-07-12. ^ "Pursuits and Pleasures: Baroque Paintings from the Detroit Institute of Arts — Events & Exhibitions at The Detroit Institute of Arts". Dia.org. Retrieved 2015-07-12. ^ "The Etching Revival in Europe: Late Nineteenth-and Early-Twentieth Century French and British Prints — Events & Exhibitions at The Detroit Institute of Arts". Dia.org. Retrieved 2015-07-12. ^ "The Photography of Charles Sheeler: American Modernist — Events & Exhibitions at The Detroit Institute of Arts". Dia.org. Retrieved 2015-07-12. ^ "Murano: Glass From the Olnick Spanu Collection — Events & Exhibitions at The Detroit Institute of Arts". Dia.org. Retrieved 2015-07-12. ^ "Gerard ter Borch: Master Works, Feb. 27 - May 22". Dia.org. Retrieved 2015-07-12. ^ "Beyond Big: Oversized Prints, Drawings and Photographs — Events & Exhibitions at The Detroit Institute of Arts". Dia.org. Retrieved 2015-07-12. ^ "Sixty-Eighth Annual Detroit Public Schools Student Exhibitions — Events & Exhibitions at The Detroit Institute of Arts". Dia.org. Retrieved 2015-07-12. ^ "Camille Claudel and Rodin: Fateful Encounter — Events & Exhibitions at The Detroit Institute of Arts". Dia.org. Retrieved 2015-07-12. ^ "African American Art from the Walter O. Evans Collection — Events & Exhibitions at The Detroit Institute of Arts". Dia.org. Retrieved 2015-07-12. ^ "69th Annual Detroit Public Schools Student Exhibition — Events & Exhibitions at The Detroit Institute of Arts". Dia.org. Retrieved 2015-07-12. ^ "Recent Acquisitions: Prints, Drawings, and Photographs — Events & Exhibitions at The Detroit Institute of Arts". Dia.org. Retrieved 2015-07-12. ^ "The Big Three in Printmaking: Dürer, Rembrandt and Picasso — Events & Exhibitions at The Detroit Institute of Arts". Dia.org. Retrieved 2015-07-12. ^ "Annie Leibovitz: American Music — Events & Exhibitions at The Detroit Institute of Arts". Dia.org. Retrieved 2015-07-12. ^ "Ansel Adams — Events & Exhibitions at The Detroit Institute of Arts". Dia.org. Retrieved 2015-07-12. ^ "70th Annual Detroit Public Schools Student Exhibition — Events & Exhibitions at The Detroit Institute of Arts". Dia.org. Retrieved 2015-07-12. ^ "The Best of the Best: Prints, Drawings, and Photographs from the DIA Collection — Events & Exhibitions at The Detroit Institute of Arts". Dia.org. Retrieved 2015-07-12. ^ a b The Architecture of the Detroit Institute of Arts. The Detroit Institute of Arts. 1928. ^ a b Ferry, W. Hawkins (1 October 2012). The Buildings of Detroit: A History. Detroit: Wayne State University Press. pp. 220–222. ISBN 978-0814316658. ^ a b "It All Began with an Art Show". The Detroit News. detnews.com. 6 November 2007. Retrieved 2010-09-20. ^ Berman, Ann E. (July 2001). "The Edsel & Eleanor Ford House". Architectural Digest. Retrieved 2012-01-22. ^ a b Schjeldahl, Peter (28 November 2011). 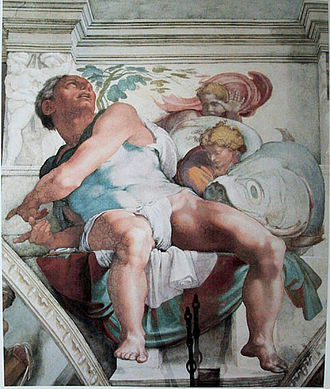 "The Painting on the Wall". The New Yorker: 84–85. Retrieved 2012-01-12. ^ Stremmel, Kerstin (2004). Realism. Taschen. pp. 80–81. ISBN 978-3-8228-2942-4. Retrieved 2012-01-12. ^ Vivian Baulch; Patricia Zacharias (11 July 1997). "The Rouge plant – the art of industry". The Detroit News. detnews.com. Retrieved 2011-02-24. ^ White, Theo B. (1973). Paul Philippe Cret: Architect and Teacher. Philadelphia: The Art Alliance Press. pp. 33–34. ISBN 9780879820084. Retrieved 2014-11-08. (Subscription required (help)). ^ Gonyea, Don (2009). "Detroit Industry: The Murals of Diego Rivera". National Public Radio. Retrieved 12 January 2012. ^ Freudenheim, Tom L. (14 August 2010). "When the Motor City Was a Symbol of Strength". The Wall Street Journal. Retrieved 2012-01-12. ^ a b Ament, Lucy (22 January 2008). "The New DIA: The Architects". Model D Media. Retrieved 2010-12-06. ^ Linett, Peter (January 2009). "Focus on the Detroit Institute of Arts". Curator: The Museum Journal. 52 (1): 13–33. doi:10.1111/j.2151-6952.2009.tb00330.x. ^ "Detroit Museum of Art — Historic Detroit". Historicdetroit.org. Retrieved 2015-07-12. ^ a b c d e f g "A Brief History of the Detroit Institute of Arts" (PDF). Phillips Oppenheim. ^ "Masterpiece Back On View After Gum Incident" (Press release). Detroit Institute of Arts. 30 June 2006. Retrieved 2014-03-24. ^ Hodges, Michael H. "Salort-Pons named DIA's new director". Detroit News. Retrieved 29 September 2015. ^ a b c d Dobrzynski, Judith H. (1 August 2012). "Where There's a Mill, There's a Way". The Wall Street Journal. Retrieved 2014-03-24. ^ "Detroit Institute of Arts calendar of events". Detroit Institute of Arts. Retrieved 2014-03-24. ^ Hodges, Michael H. (18 September 2003). "Michigan History: Fox Theater's rebirth ushered in city's renewal". The Detroit News. Retrieved 2014-11-08. ^ "Fash Bash 2011 at the Detroit Institute of Arts". dbusiness.com. July–August 2012. ^ a b c d Cohen, Patricia (8 August 2012). "Suburban Taxpayers Vote to Support Detroit Museum". The New York Times. Retrieved 2014-03-24. ^ Pes, Javier; Sharpe, Emily (24 March 2014). "Visitor figures 2013: Taipei takes top spot with loans from China". The Art Newspaper. Archived from the original on 2014-03-24. Retrieved 2014-03-24. ^ Abdel-Razzaq, Laurén (8 August 2012). "Detroit Institute of Arts tax easily passes in Wayne, Oakland". The Detroit News. ^ "With art collection saved, Detroit Institute of Arts looks to future". Freep.com. 2014-11-09. Retrieved 2015-07-12. ^ "Christie's Values Detroit's Art At $454M-$867M". Bloomberg Businessweek. Associated Press. 19 December 2013. Retrieved 2014-11-08. ^ "La collection du Detroit Institute of Arts menace" [The collection of the Detroit Institute of Arts threatened]. La Journal des Arts.fr (in French). 13 December 2013. Retrieved 2014-11-03. ^ "Detroit va céder le DIA... au DIA !" [Detroit will sell the DIA...to the DIA!]. La Journal des Arts.fr (in French). 31 January 2014. Retrieved 2014-11-03. ^ Bomey, Nathan (13 May 2004). "DIA seeks to block removal of artworks for valuation in bankruptcy fight". Detroit Free Press. Retrieved 2014-11-03. ^ O'Donnell, Nathan (23 April 2014). "Detroit Institute of Arts Grand Bargain Not Done Yet, Creditors Claim to Have Purchaser Willing to Pay Nearly $2 Billion for Entire Collection". Art Law Report. Retrieved 2014-11-03. ^ Gray, Kathleen; Bomey, Nathan; Stryker, Mark (13 May 2014). "Orr pleads with lawmakers for Grand Bargain cash, creditors plot legal strategy". Detroit Free Press. Retrieved 2014-11-03. ^ Bomey, Nathan; Helms, Matt; Guillen, Joe. "Judge OKs bankruptcy plan; a 'miraculous' outcome". Detroit Free Press. Retrieved 2014-12-02. ^ Laitner, Bill (23 October 2014). "DIA pay raises prompt leaders to demand changes". Detroit Free Press. Retrieved 2014-11-03. ^ Turk, John (23 October 2014). "DIA board chairman meets with Commission, hears communities' concerns over executives' past raises". The Oakland Press. Retrieved 2014-11-03. ^ Chambers, Jennifer (23 October 2014). "Oakland Co. officials demand DIA return bonuses". The Detroit News. Retrieved 2014-11-03. ^ Chambers, Jennifer (6 November 2014). "DIA board pays back $90K for execs' 2013 bonuses". The Detroit News. Retrieved 2014-11-08. ^ "Graham Beal's plans after DIA retirement up in air". The Detroit News. Associated Press. January 8, 2015. ^ Detroit Free Press: 'Some Oakland County officials protest DIA raises' by L.L. Brasier and Mark Stryker, August 27, 2015. ^ Welch, Sheri (September 1, 2015). "Amid criticism over bonuses and pay hikes, DIA is searching for new director". Michigan Radio. ^ Burns, Gus (August 26, 2015). "Hefty bonuses for top Detroit Institute of Arts execs draw criticism". Mlive. ^ Hotts, Mitch (August 27, 2015). "Macomb, Oakland lawmakers want DIA to be subject to Open Meetings, FOI acts". Oakland Press. Abt, Jeffrey (2001). A Museum on the Verge: A Socioeconomic History of the Detroit Institute of Arts, 1882–2000. Detroit: Wayne State University Press. ISBN 978-0814328415. Hill, Eric J.; John Gallagher (2002). AIA Detroit: The American Institute of Architects Guide to Detroit Architecture. Wayne State University Press. ISBN 978-0814331200. Peck, William H. (1978). The Detroit Institute of Arts: A Brief History. Wayne State University Press. ISBN 978-0895581358. WJRO (2015). World Jewish Restitution Organization Report Concerning Current Approaches of United States Museums To Holocaust-Era Claims, June 25, 2015. WJRO. Wikimedia Commons has media related to Detroit Institute of Arts. George Inness was a prominent American landscape painter and georgist activist. Neither pure realist nor impressionist, Inness was a figure who intended for his works to combine both the earthly and the ethereal in order to capture the complete essence of a locale. In Inness’s words, he attempted through his art to demonstrate the reality of the unseen”, within his own lifetime, art critics hailed Inness as one of Americas greatest artists. George Inness was born in Newburgh, New York and he was the fifth of thirteen children born to John William Inness, a farmer, and his wife, Clarissa Baldwin. His family moved to Newark, New Jersey when he was five years of age. In 1839 he studied for months with an itinerant painter. In his teens, Inness worked as a map engraver in New York City, during this time he attracted the attention of French landscape painter Régis François Gignoux, with whom he subsequently studied. He debuted his work at the National Academy in 1844, Inness opened his first studio in New York in 1848. In 1849, he married Delia Miller, who died a few months later, the next year he married Elizabeth Abigail Hart, with whom he would have six children. 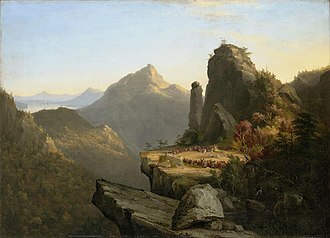 In 1851 a patron named Ogden Haggerty sponsored Inness first trip to Europe to paint, Inness spent fifteen months in Rome, where he studied landscapes by Claude Lorrain and Nicolas Poussin. He rented a studio there above that of painter William Page, in 1853 he was elected into the National Academy of Design as an Associate member and became a full Academician in 1868. During trips to Paris in the early 1850s, Inness came under the influence of working in the Barbizon school of France. 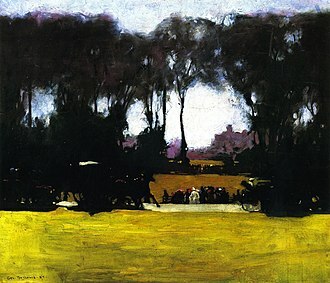 Barbizon landscapes were noted for their looser brushwork, darker palette, Inness quickly became the leading American exponent of Barbizon-style painting, which he developed into a highly personal style. In 1854 his son George Inness, Jr. who became a painter of note, was born in Paris. In the mid-1850s, Inness was commissioned by the Delaware, Inness moved from New York City to Medfield, Massachusetts in 1860, where he converted a barn into a studio. John Singleton Copley RA was an American painter, active in both colonial America and England. He was probably born in Boston, Massachusetts, to Richard and Mary Singleton Copley and he is famous for his portrait paintings of important figures in colonial New England, depicting in particular middle-class subjects. His portraits were innovative in their tendency to depict artifacts relating to these individuals lives, Copleys mother owned a tobacco shop on Long Wharf. His father was from Limerick, his mother, of the Singletons of County Clare, Letters from John Singleton, Mrs. Copleys father, are in the Copley-Pelham collection. Richard Copley, described as a tobacconist, is said by biographers to have arrived in Boston in ill health and to have gone, about the time of Johns birth, to the West Indies. 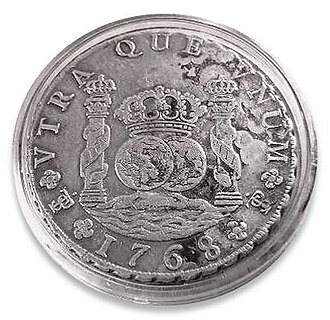 William H. Whitmore gives his death as of 1748, the year of Mrs. Copleys remarriage, james Bernard Cullen says, Richard Copley was in poor health on his arrival in America and went to the West Indies to improve his failing strength. No contemporary evidence has been located for either year, except for a family tradition that speaks of his precocity in drawing, nothing is known of Copleys schooling or of the other activities of his boyhood. His letters, the earliest of which is dated September 30,1762, in such a household young Copley may have learned to use the paintbrush and the engravers tools. The family lived next to the occupied by japanner Thomas Johnston and his family. His son, Lord Lyndhurst, wrote that he was entirely self taught, variants of this thesis are found almost everywhere in his earlier letters. They suggest that, while Copley was industrious and an executant, he was physically unadventurous and temperamentally inclined toward brooding. He could have seen at least a few paintings and many good prints in the Boston of his youth. The excellence of his own portraits was not accidental or miraculous and it is a remarkable work to have come from so young a hand. No other engraving has been attributed to Copley, such painting would obviously advertise itself anywhere. Dale Chihuly is an American glass sculptor and entrepreneur. His works are considered unique to the field of blown glass, the technical difficulties of working with glass forms are considerable, yet Chihuly uses it as the primary medium for installations and environmental artwork. Chihuly was born in Tacoma, Washington, to George and Viola Magnuson Chihuly, in 1956, his older brother and only sibling, died in a Navy Air Force training accident in Pensacola, Florida. Two years later, in 1957, Chihulys father died of an attack at the age of 52. Initially, Chihuly had no interest in continuing his education after graduating from Woodrow Wilson High School in 1959. However, at his mothers urging, he enrolled at the College of Puget Sound, a year later, he transferred to the University of Washington in Seattle to study interior design. In 1961, he joined the Delta Kappa Epsilon fraternity and that same year he learned how to melt and fuse glass. Chihuly became disillusioned with his studies, and in 1962 he dropped out of school to art in Florence. He traveled to the Middle East and met architect Robert Landsman and their meeting and his time abroad spurred Chihuly to return to his studies. In 1963, he took a class where he incorporated glass shards into tapestries. He received an award for his work from the Seattle Weavers Guild in 1964, Chihuly graduated from the University of Washington in 1965 with a Bachelor of Arts degree in interior design. Chihuly began experimenting with glassblowing in 1965, and in 1966 he received a scholarship to attend the University of Wisconsin–Madison. He studied under Harvey Littleton, who had established the first glass program in the United States at the university, in 1967, Chihuly received a Master of Science degree in sculpture. After graduating, he enrolled at the Rhode Island School of Design, Chihuly earned a Master of Fine Arts degree in sculpture from the RISD in 1968. That same year, he was awarded a Louis Comfort Tiffany Foundation grant for his work in glass and he traveled to Venice to work at the Venini factory on the island of Murano, where he first saw the team approach to blowing glass. 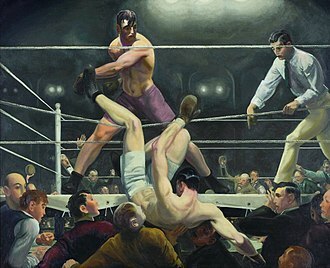 George Wesley Bellows was born and raised in Columbus, Ohio. He was the child of George Bellows and Anna Wilhelmina Smith Bellows. He was born four years after his parents married, at the ages of fifty and forty and his mother was the daughter of a whaling captain based in Sag Harbor, Long Island, and his family returned there for their summer vacations. He began drawing well before kindergarten, and his elementary–school teachers often asked him to decorate their classroom blackboards at Thanksgiving, at age 10 George decided to become an athlete, and trained himself to become a popular baseball and basketball player. He became good enough at both sports to play ball for years afterward. During his senior year, a scout from the Indianapolis team made him an offer. He declined, opting to enroll at The Ohio State University, there he played for the baseball and basketball teams, and provided illustrations for the Makio, the schools student yearbook. He was encouraged to become a baseball player, and he worked as a commercial illustrator while a student. Despite these opportunities in athletics and commercial art, Bellows desired success as a painter and he left Ohio State in 1904 just before he was to graduate and moved to New York City to study art. 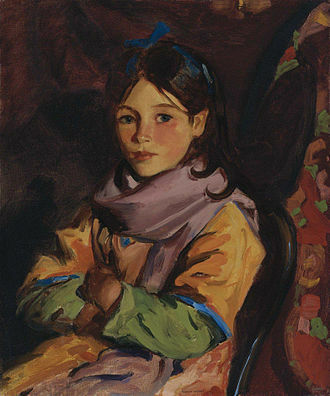 Bellows was soon a student of Robert Henri, before the later-famous artist had set up his own famous school, while studying there, Bellows became associated with Henris The Eight and the Ashcan School, a group of artists who advocated painting contemporary American society in all its forms. By 1906, Bellows and fellow art student Edward Keefe had set up a studio at 1947 Broadway Street, Bellows first achieved widespread notice in 1908, when he and other pupils of Henri organized an exhibition of mostly urban studies. While many critics considered these to be painted, others found them welcomely audacious. Bellows taught at the Art Students League of New York in 1909 and his fame grew as he contributed to other nationally recognized juried shows. Bellows urban New York scenes depicted the crudity and chaos of people and neighborhoods. Diego María de la Concepción Juan Nepomuceno Estanislao de la Rivera y Barrientos Acosta y Rodríguez, known as Diego Rivera was a prominent Mexican painter. His large frescoes helped establish the Mexican mural movement in Mexican art, between 1922 and 1953, Rivera painted murals among others in Mexico City, Cuernavaca, San Francisco and New York City. 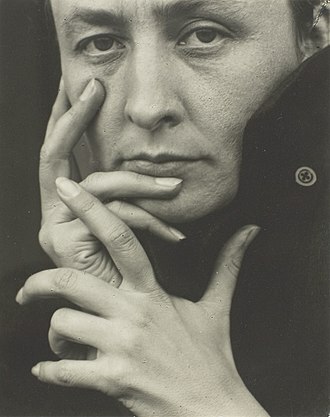 In 1931, a exhibition of his works was held at the Museum of Modern Art in New York. Rivera had a marriage with fellow Mexican artist Frida Kahlo. Rivera was born in Guanajuato, Mexico, to a well-to-do family, Diego had a twin brother named Carlos, who died two years after they were born. Rivera was said to have Converso ancestry, Rivera wrote in 1935, My Jewishness is the dominant element in my life. Rivera began drawing at the age of three, a year after his brothers death. He had been drawing on the walls. His parents, rather than punishing him, installed chalkboards and canvas on the walls, as an adult, he married Angelina Beloff in 1911, and she gave birth to a son, Diego. Maria Vorobieff-Stebelska gave birth to a daughter named Marika in 1918 or 1919 when Rivera was married to Angelina and he married his second wife, Guadalupe Marín, in June 1922, with whom he had two daughters and Guadalupe. He was still married when he met art student Frida Kahlo and they married on August 21,1929 when he was 42 and she was 22. Their mutual infidelities and his violent temper led to divorce in 1939, Rivera married Emma Hurtado, his agent since 1946, on July 29,1955, one year after Kahlos death. His mural Dreams of a Sunday in the Alameda depicted Ignacio Ramírez holding a sign which read and this work caused a furor, but Rivera refused to remove the inscription. The painting was not shown for nine years – until Rivera agreed to remove the inscription. He stated, To affirm God does not exist, I do not have to hide behind Don Ignacio Ramírez, I am an atheist, from the age of ten, Rivera studied art at the Academy of San Carlos in Mexico City. He was sponsored to study in Europe by Teodoro A.
Thomas Cowperthwait Eakins was an American realist painter, photographer and fine arts educator. He is widely acknowledged to be one of the most important artists in American art history and he painted several hundred portraits, usually of friends, family members, or prominent people in the arts, sciences and clergy. Taken en masse, the offer an overview of the intellectual life of Philadelphia in the late 19th and early 20th centuries, individually. These active outdoor venues allowed him to paint the subject which most inspired him, in the process he could model the forms of the body in full sunlight, and create images of deep space utilizing his studies in perspective. Eakins took a keen interest in the new technologies of motion photography, No less important in Eakins life was his work as a teacher. 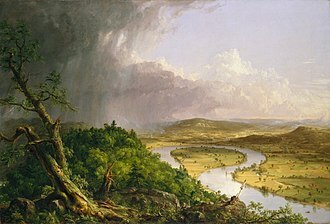 As an instructor he was an influential presence in American art. Eakins was a figure whose work received little by way of official recognition during his lifetime. Since his death, he has been celebrated by American art historians as the strongest, most profound realist in nineteenth-, Eakins was born and lived most of his life in Philadelphia. He was the first child of Caroline Cowperthwait Eakins, a woman of English and Dutch descent, and Benjamin Eakins, Benjamin Eakins grew up on a farm in Valley Forge, the son of a weaver. He was successful in his profession, and moved to Philadelphia in the early 1840s to raise his family. 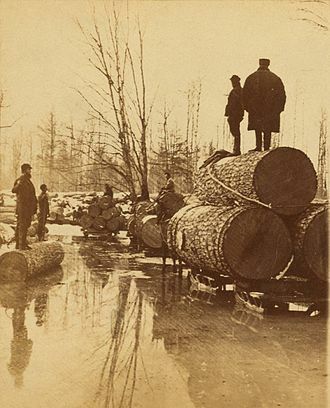 Thomas Eakins observed his father at work and by twelve demonstrated skill in precise line drawing, and he was an athletic child who enjoyed rowing, ice skating, wrestling and gymnastics—activities he painted and encouraged in his students. Eakins attended Central High School, the public school for applied science and arts in the city. 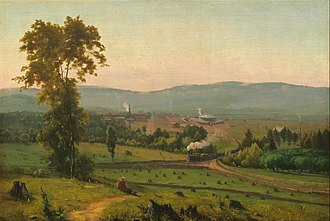 He studied drawing and anatomy at the Pennsylvania Academy of the Fine Arts beginning in 1861, for a while, he followed his fathers profession and was listed in city directories as a writing teacher. His scientific interest in the body led him to consider becoming a surgeon. Eakins studied art in Europe from 1866 to 1870, notably in Paris with Jean-Léon Gérôme, being only the second American pupil of the French realist painter, famous as a master of Orientalism. The community area of neighborhoods is bounded by the Chrysler Freeway on the east, the Lodge Freeway on the west, the Edsel Ford Freeway on the north, and the Fisher Freeway on the south. The area includes several historic districts, the Detroit Medical Center, the Midtown area is a general mixed-use community area of neighborhoods containing successive waves of development that have transformed the area multiple times since it was first platted. The neighborhoods are dominated by the thoroughfare of Woodward Avenue, which runs north and south through the heart of Midtown, Woodward Avenue, running north and south through the center of the neighborhood, is primarily inhabited by commercial businesses, public-oriented/cultural institutions, and religious buildings. The heart of the center is located directly on Woodward in the northern part of Midtown. Wayne State Universitys campus covers 203 acres in the section of Midtown. Waynes campus is irregular, and parts extend south of Warren and north of I-94, out of Midtown, Wayne is one of Michigans three research institutions and serves over 32,000 students. The first portion of what became Wayne State University was the Detroit Medical College, the school of education was begun in 1881. In 1896, Old Main was built as Detroits Central High School, College classes were added in 1913, and these Liberal Arts classes evolved into Detroit Junior College in 1917. 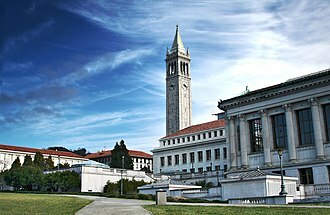 The school began offering degrees in 1923 and graduate courses were added in 1930. In 1933, the previously disparate colleges were united under one administration into Wayne University, in 1956, the school was renamed Wayne State University. Since the early 1940s, Wayne State University, backed by the City Planning Commission, has shaped the development of the area through its plan for growth. The availability of urban redevelopment grants beginning in the 1950s became an important funding resource for expansion of the university, the size of the campus has continued to expand, with the University constructing new building as well as repurposing older buildings located in the area. As of Fall 2015, nearly 30,000 students were enrolled at Wayne State, over 18,000 undergraduate students andover 8000 graduates students, with the remainder enrolled in professional programs. M-1, commonly known as Woodward Avenue, is a north–south state trunkline highway in the Metro Detroit area of the US state of Michigan. The highway, called Detroits Main Street, runs from Detroit north-northwesterly to Pontiac, the street is one of the five principal avenues of Detroit, which include Michigan, Grand River and Jefferson avenues. These streets were platted in 1805 by Judge Augustus B, the US Department of Transportation has listed the highway as the Automotive Heritage Trail, an All-American Road in the National Scenic Byways Program. It has designated a Pure Michigan Byway by the Michigan Department of Transportation. 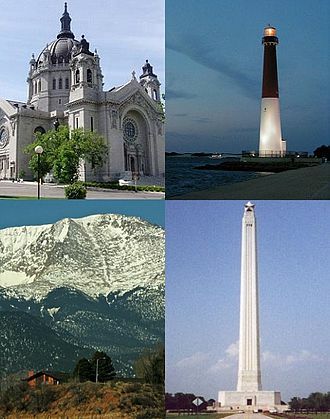 The roadway was included in the MotorCities National Heritage Area designated by the US Congress in 1998. The trunkline is the line between Detroits East and West sides, and it connects to some of the citys major freeways like Interstate 94. Woodward Avenue exits Detroit at M-102 and runs through the northern suburbs in Oakland County on its way to Pontiac. In between, Woodward Avenue passes through several historic districts in Detroit and provides access to businesses in the area. The name Woodward Avenue has become synonymous with Detroit, cruising culture, Woodward Avenue was created after the Detroit Fire in 1805. It followed the route of the Saginaw Trail, an Indian trail that linked Detroit with Pontiac, the Saginaw Trail connected to the Mackinaw Trail, which ran north to the Straits of Mackinac at the tip of the Lower Peninsula of Michigan. In the age of the trails, Woodward Avenue was part of the Theodore Roosevelt International Highway that connected Portland, with Portland. It was a part of the Dixie Highway, which connected Michigan with Florida, Woodward Avenue was the location of the first mile of concrete roadway in the country. When Michigan created the State Trunkline Highway System in 1913, the roadway was included, numbered as part of M-10 in 1919, later, it was part of US Highway 10 following the creation of the United States Numbered Highway System. Since 1970, it has borne the M-1 designation, the roadway carried streetcar lines from the 1860s until the 1950s, a new light rail line will be added in the future. The Detroit Department of Transportation is the public transportation operator of city bus service in Detroit, Michigan. In existence since 1922, it has headquarters in the Midtown section of Detroit and is a department of the city government. DDOT partners with the Suburban Mobility Authority for Regional Transportation, bus service generally operates between 5 a. m. and 12,30 a. m. Monday through Saturday, while Sunday service starts approximately 7 a. m. on Woodward Avenue, Dexter Avenue, Gratiot Avenue, and Grand River Avenue bus service operates 24/7 service. Along with operating fixed-route bus service, DDOT operates MetroLift, DDOT contracts with three providers for this service, Checker Cab, Enjoi Transportation, and Lakeside Divisions. The DSR added bus service when it created the Motorbus Division in 1925, at the height of its operation in 1941, the DSR operated 20 streetcar lines with 910 streetcars. By 1952, only four streetcar lines remained, Gratiot, streetcar services was discontinued in April 1956 with the decommissioning of the Woodward line. The DSR formally became the DDOT in 1974 under the Detroit City Charter, between 2009 and 2012, the systems seven remaining limited and express bus routes were discontinued. Starting January 1,2012, management of DDOT was contracted out to Parsons Brinckerhoff, the firm subsequently subcontracted the management of the system to Envisurage, LLC a consultancy run by the former CEO of the Rochester-Genesee Regional Transportation Authority. On March 3,2012, 24-hour service was discontinued, and other weekday and weekend routes and services were pared down, or eliminated entirely, in August 2013, management of DDOT was contracted out to MV Transportation under the direction of Paul Toliver until September 2014. Dan Dirks was appointed director of the department by mayor Mike Duggan on January 9,2014 for the duration of MV Transportations contract, MV Transportations contract was extended for another two years on August 12,2014. On January 23,2016 DDOT reintroduced 24-hour service on three routes along with other smaller service changes. 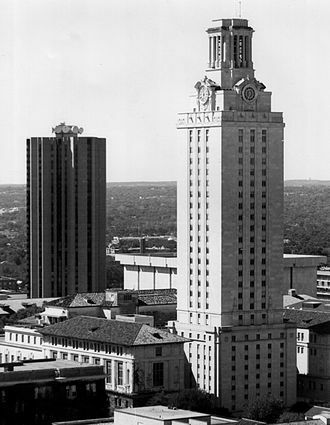 Main Building, University of Texas (foreground), Austin, TX (1934–37). One of twenty campus buildings designed by Cret. Eternal Light Peace Memorial, Gettysburg Battlefield, Gettysburg, PA (1938), Lee Lawrie, sculptor. 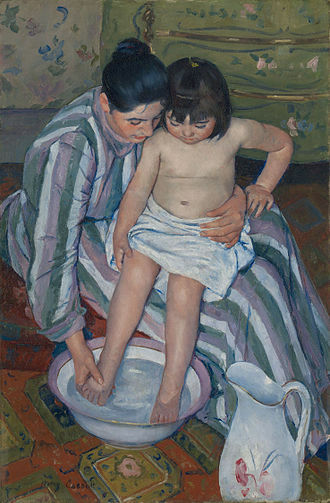 Diego Rivera, Maternidad, Angelina y el niño Diego (Motherhood, Angelina and the Child Diego), c. August 1916, oil on canvas, 134.5 x 88.5 cm, Museo de Arte Carrillo Gil. This work forms part of Rivera's Crystal Cubist period. Cassatt seated in a chair with an umbrella. Verso reads "The only photograph for which she ever posed." The Artist in His Museum (self-portrait, 1822) is displayed at the Pennsylvania Academy of the Fine Arts in Philadelphia.